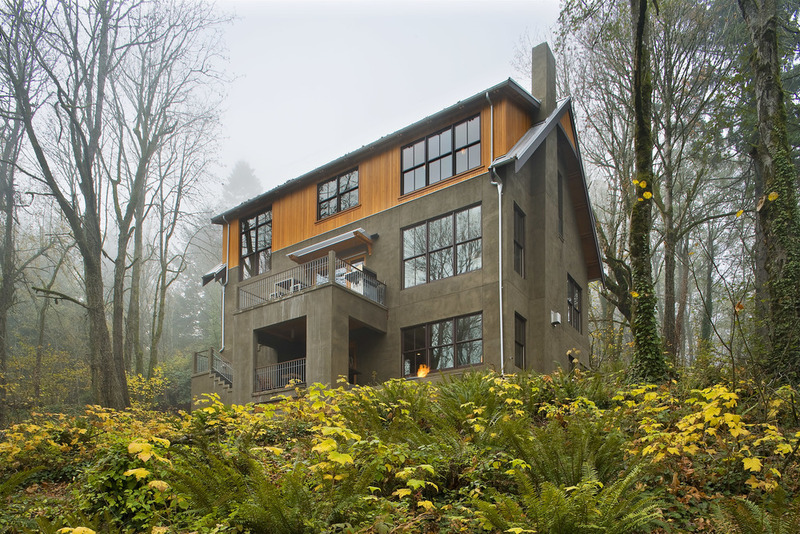 Participating in the USGBC pilot program, this home is the first LEED-certified stand-alone residence in Portland and was among the first in the nation to meet Gold status. Situated 750’ above the west bank of the Willamette River and only minutes from downtown Portland, the property is embedded in 300 protected acres of Terwilliger Parkway, a primal Pacific Northwest rainforest preserved by the Olmsted Brothers ‘City Beautiful’ vision in the early 20th Century. The home creates opportunities for indoor / outdoor living in the mild climate and forges strong connections to the surrounding forest. This retreat gives the family a chance to connect with the rugged natural beauty of the forest, while remaining in close proximity to urban life.